Denver Public Schools (DPS) is committed to meeting the educational needs of every student with great schools in every neighborhood. Our goal is to provide every student in Denver with rigorous, enriching educational opportunities from preschool through high school graduation. DPS is comprised of nearly 200 schools, including traditional, magnet, charter and pathways schools, with a current total enrollment of more than 92,000 students. Of those, 56.7% of the school district’s enrollment is Hispanic, 21.9% is Caucasian, and 14.1% is African American. 67% percent of the district’s students qualify for free and reduced lunch. In six years, DPS’ on-time graduation rate has risen by 24 percentage points, while dropout rates have been cut in half. School districts across the country look to Denver as a leader in thoughtful school innovation, and seek to study and replicate the initiatives in DPS that produce positive results for students. Read more about innovative programs in DPS here. The DPS Foundation is the avenue by which the entire community can contribute to and help accelerate this progress. Together, we can create positive, sustainable change in our schools and ensure the success of our next generation. Under the leadership of Superintendent Tom Boasberg and guided by the tenets of The Denver Plan, DPS has become the fastest-growing school district in the country in terms of enrollment and the fastest-growing large school district in terms of student academic growth. DPS is committed to establishing Denver as a national leader in student achievement, high school graduation and college career readiness. 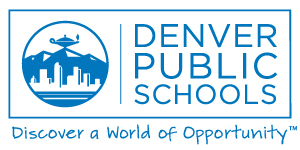 The Denver Plan 2020 confirms the commitment of Denver Public Schools to achieve its vision that Every Child Succeeds. Through the plan, DPS has committed to five specific goals designed to close academic achievement gaps and prepare all students for success in college and a career. Watch this video to see how we, as a community, can work together to achieve the vision of Every Child Succeeds. DPS Office of School Choice & Enrollment – tools to find the perfect school for your child! DPS Planning & Analysis Department – Demographic and enrollment data, graduation rates and more. School Performance Framework – learn more about the state’s scorecard for how schools are meeting the needs of their kids and see how DPS schools are rated.